So when people are shopping around, they will communicate with various pool builders and try to find the best inground pool prices. One problem occurs when you do this. If you simply go for the lowest price pool, you might not be comparing apples with apples. It's easy to get a pool estimate with the lowest price simply by cutting the features away. 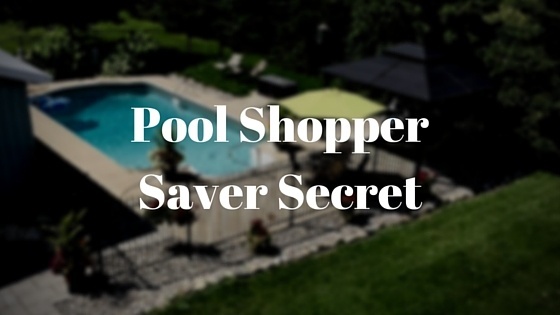 So before you even try this trick to lower inground pool prices even more, you need to be pretty set on what you want. Pool size and shape, accessories. You do this trick just before you are ready to purchase. Take the quote from the pool builders you are planning to choose. The one closest to exactly what you want. Then, email every single pool builder in Ottawa you are considering for the contract at the same time. Attach all of their quotes in the email. Tell them the one you are planning to choose and ask them to revise their quotes to match what you are looking for. The builders will be shocked! Some might find it offensive. Some might be confused. It's interesting that most of the clients shopping around actually hide the details of who they are comparing us to and what inground pools prices they have from competitors. When you do this, you limit the opportunity to negotiate. The good builders will go ahead and look into the competing quotes and will give you their best and final offer. You will save even more money. Or at least you'll find your preferred builder can match the price, or at least come pretty close. We particularly love when clients do this because it gives us a chance to revise our quote to match your requirements. More often then not, we include much of the extra costs in the quote we give clients. When we revise it to match our competitors, our clients see that it matches. We simply didn't exclude additional costs not mentioned by some competitors. At the end of the day, you win as a shopper.